Employees want tools with a look and feel that they are used to from their personal life. Colibo is your social intranet and the number one alternative to Sharepoint’s complex setup. Users will love the easy-to-use features. Microsoft SharePoint is a platform with an enormous amount of possibilities. Many people have heard of SharePoint, and many organisations choose SharePoint because its standard software is included when you buy an Office 365 license. Despite many organisations using SharePoint, several look for alternatives. The reason is that the standard software does not always reflect user needs and is difficult to understand. That is why SharePoint often turns into a larger development project to create a more user-friendly experience. The primary reason organisations look for alternatives to SharePoint is that SharePoint’s standard software has too many options, and it becomes too confusing for employees. The standard software is an extremely complex tool that has been built to cover several needs in many organisations: File sharing, document management, collaboration, content management, and website building. An AIIM study shows that 40% of organisations say their SharePoint implementation was not a success. Inadequate user training (67%), difficulty of use (66%), and lack of senior management support (64%) are cited as reasons for SharePoint projects stalling or failing. 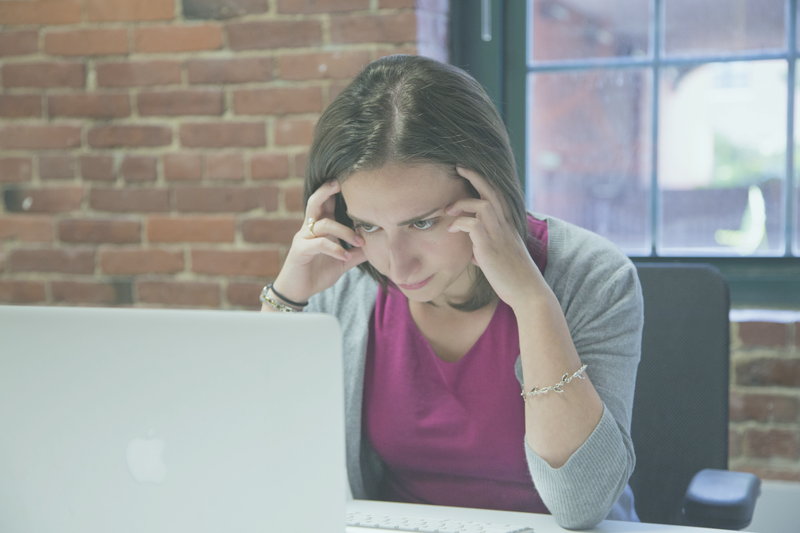 The complexity of SharePoint makes it difficult to use. That is why organisations need to spend a great deal of time on getting to know SharePoint. To get a solution your employees can cope with, and meet the organisational needs, SharePoint requires adjustments. The standard software in SharePoint is not just an intranet, but rather a platform where you can build many different solutions, including an intranet, a website, an extranet, and collaboration tools. That means that SharePoint is not a tool like Word or Excel, where you can easily hop on board. SharePoint needs to be customised before you can use it to its full potential. The consequence is that many companies either customise their SharePoint solution to get a tailor-made tool or look for alternatives. A customisation of a SharePoint solution can be expensive because the solution needs to be fully configured to the needs of your organisation. Beyond the initial configuration, SharePoint demands regular maintenance. The more customised the solution, the more maintenance is necessary. Companies who run a successful SharePoint solution often hire a dedicated SharePoint specialist to customise, maintain, and update the system. That is unrealistic for small and midsize companies. Colibo makes your work life easier. When you choose Colibo, you don’t need to worry about the high costs, lack of user-engagement, extremely difficult configuration, and the never-ending maintenance with SharePoint. One of the most important parameters for intranet success is that your employees know how to use it. Therefore, user-friendliness is the be-all and end-all for Colibo. 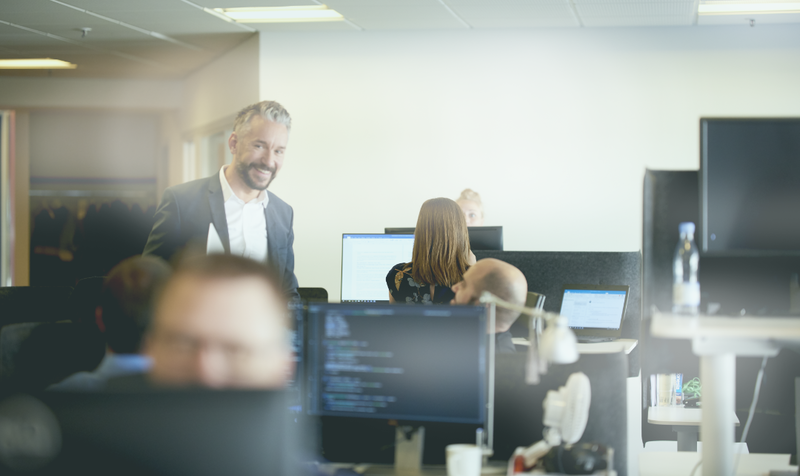 It is our mission to make every employee feel right at home in Colibo, no matter their experience level or IT skills. If the intranet is easy to use, they will want to use it. Colibo has made sure that the functions you need are accessible. That means that unnecessary functions and buttons do not interrupt. Colibo does not need further introduction or training because it is easy and intuitive to use the intranet. Colibo works on mobile phones, of course. The Colibo intranet is designed to be used by the entire organization, whether it's on a computer, tablet, or smartphone. The system is responsive, which means that it automatically adapts the intranet to different devices. The responsive design makes it possible for your employees to find contact information for colleagues, find information and forms, and stay updated on company news even if they do not use a computer in their daily work. This means that if a caretaker is standing by a tenant in a housing association, and he needs to order a new washing machine, he can easily find an order form on the intranet, rather than running to the office and back again. Your intranet should work with your other systems. By assembling the systems, your organisation achieves an optimised workflow, as the systems will be assembled in one place. Colibo works well with your current IT infrastructure, and we integrate with Office 365, so it's easy to work with your documents. Colibo’s intranet is based on the flexible.NET technology, which means you can integrate your company's most important systems, such as Business Intelligence, Exchange Server, or CRM and Finance Systems. That way, you can structure and customise Colibo so that it becomes a customised intranet with access to all of the systems that you need in your company. You don’t have to worry about what happens to your workflows and your custom-built tools from SharePoint if you transition to Colibo because Colibo can integrate with SharePoint. Colibo can coexist with SharePoint. Two of our customers have chosen to keep SharePoint because of SharePoint’s options for working with Workflows. Colibo is built so that it can co-exist with workflows and custom-built tools, such as SharePoint, Nintex, BPM online, and others. The standard solution from Colibo can be easily used without additional extensions. But with tailor-made apps and widgets, you can customise Colibo for your business needs, so that the intranet helps the individual employee in their everyday life. Apps and widgets are the intranet's comprehensive concept of process optimisation and work-related tools. For example, an app for a workflow when creating a new employee on the intranet or booking a vacation home. Widgets look a lot like web parts in SharePoint, and work the same way. With Colibo, you get a standard platform that is updated continuously. Your monthly fee covers Azure cloud hosting, a Service Level Agreement, and the latest features. You get a social network and digital workplace, which is constantly evolving based on your needs. Colibo updates the platform at no extra cost. This avoids the maintenance of a specially developed intranet. You can freely choose between on-premises hosting or cloud hosting, via Microsoft Azure. You can run Colibo as a full Cloud solution or on-premises from your local servers. 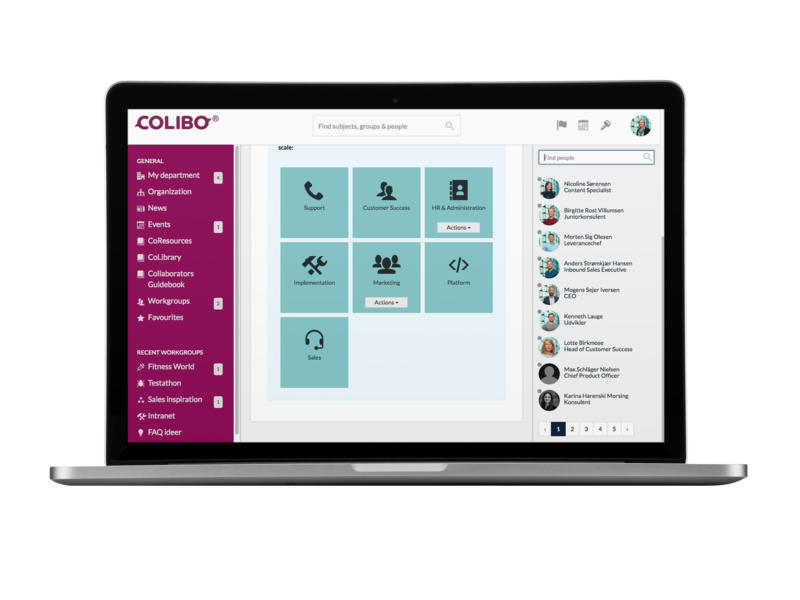 Colibo is an enterprise social network that you’ll use with full integration to the technical backbone of your IT organization, social features, document management, offline sync, single sign-on, and much more. SharePoint is a good product, serving millions of customers. It is a product that has been developed over many years and has become a comprehensive size with an enormous amount of functions. Those functions mean that you can use SharePoint for many things. But, the consequence of these functions is that the system may seem overwhelming. SharePoint is especially interested in organisations, which have large budgets for implementation and ongoing maintenance. To get the full benefit of SharePoint, it needs to be customised with the right integrations and web parts. A great SharePoint installation requires a lot of internal and external resources, and that makes SharePoint an expensive option. If you choose to buy a SharePoint solution and customise the platform to suit your organisation, then SharePoint might work well. Whatever you choose, the right solution is to find the right fit — for your needs, budget, and workflow.